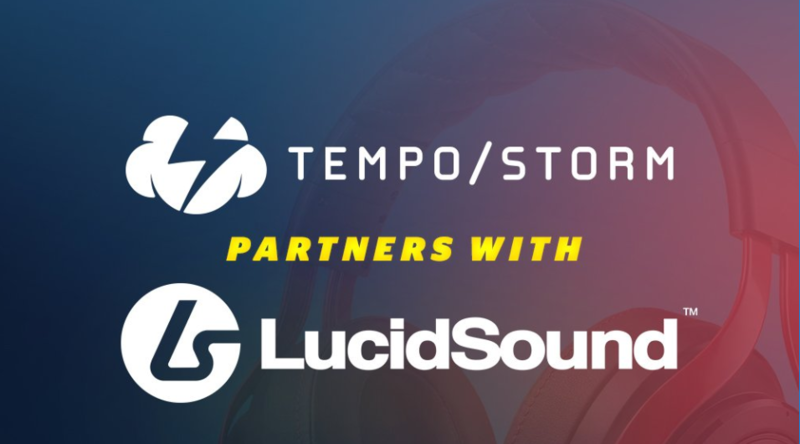 Multigaming organisation Tempo Storm has announced LucidSound as the teams official audio sponsor. As part of the deal, Tempo Storm will be doing a giveaway for its fans to win one of five Tempo Storm Hoddies or five LucidSound gaming headsets. The two will also be offering 30% off the entire LucidSound headset line with the use of a unique Tempo Storm discount code for a limited time after the announcement. Launching in 2016, this is LucidSound’s first major partnership in esports, however, the company has launched a line of ‘Esports Gaming’ headsets for multiple platforms. Currently, Tempo Storm holds sponsorships or partnerships with the following brands, Twitch, Red Bull, Meta Threads, Nvidia, Skytech Gaming and DXRacer. Esports Insider says: Esports teams need good headsets to perform at events and at home, partnerships like this are key, but it’s also good to see another face resting its trust on the heads of another major esports team.